The Hurricanes are virtually through to the semi-finals while the Srikers have only a mere mathematical chance of qualification. 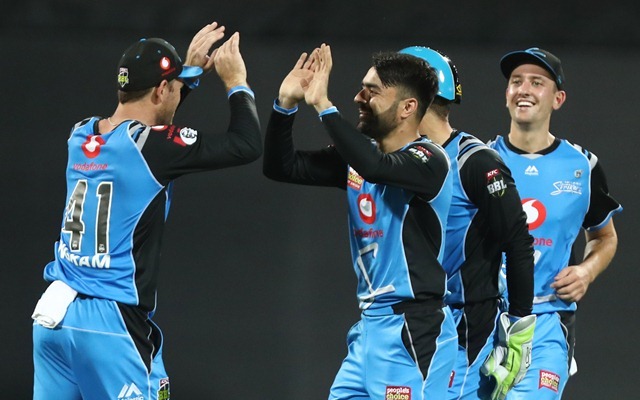 The Adelaide Strikers come to this match after suffering an eight-wicket pummeling at the hands of Sydney Sixers. That loss virtually eliminated the Strikers. 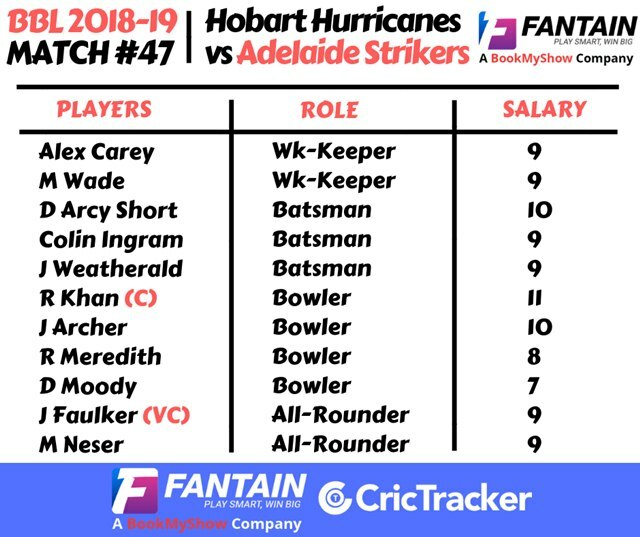 However, with three games to play, they still have a mathematical chance of going through and the Strikers will cling on to that thread of hope knowing that they beat Hobart Hurricanes last year to win the league. On the other hand, Hobart Hurricanes, true to their name, have blown the opposition away. They’ve won four out of their last five games and with 18-points in the kitty, their spot in the semi-finals is well and truly assured. Slow is the nature of the wicket here and off the two T20s played here,the average 1st innings score is 37. Also, Peter Siddle is in the Australian Test squad and will not be available for this fixture. D’Arcy Short, Ben McDermott, Matthew Wade (C), George Bailey, Simon Milenko, James Faulkner, Caleb Jewell, Jofra Archer, David Moody, Clive Rose and Tom Rogers. Note that Harry Nielsen and Wes Agar appear well placed to replace Peter Siddle and Matthew Short. Matthew Wade: he has been in explosive form this season and if he were to get going in this match, you’ll be garnering plenty of Fantain Fantasy Points. Note: The number alongside the player indicates the associated player salary.